Lansing resident Garrett Clinard could be the poster child for the kind of spiraling prescription drug costs that have moved states from Maryland to Utah to try to curtail their price. 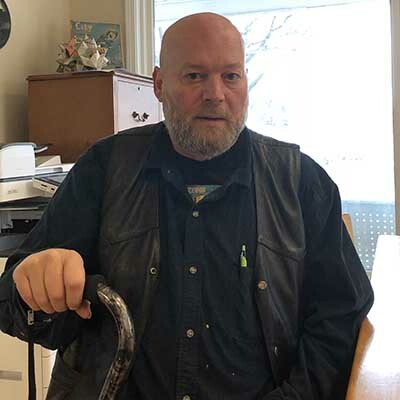 Clinard, 61, suffers from a rheumatic disease that attacks his joints, leading to episodes of shooting pain and chronic discomfort. He saw medication he took for it spike from $8.30 to more than $150 a month. He said he quit taking it in 2012. “I couldn’t afford it anymore,” he said. Now Clinard said he’s got chronic pain in his elbows, knees, shoulders and lower back that he rates it a constant “four” on a one-to-10 scale and has put him on disability after work that involved setting up retail displays, lugging around displays that weighed 72 pounds. With nearly 60 percent of Americans taking prescription drugs – and costs rising 10 percent a year (far more in cases like Clinard’s) – advocates say states can’t afford to wait for federal initiatives. But whether Michigan will also take action remains to be seen. 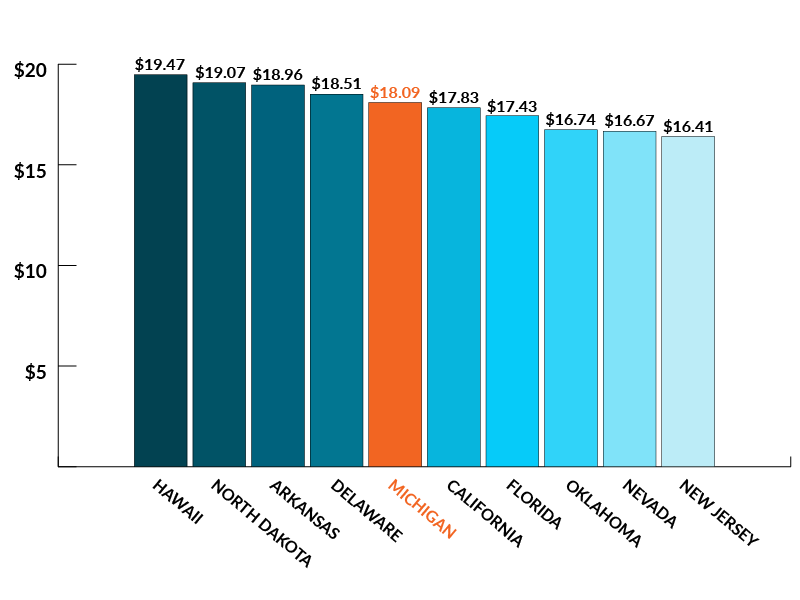 By one measure our per capita prescription retail drug costs rank 17th highest in the nation. Another ranking by searchRX, a website that offers comparative prescription drug prices, found Michigan as high as fifth in prescription drug costs. And on top of that, the United States spends more per capita on prescription medications than any other country in the world. Several states, blue and red, are passing laws intended to lower drug costs for their residents – from penalizing pharmaceutical firms that dramatically raise prices, to buying medications in bulk from Canada. In Michigan, bills are expected to be introduced this week in the Senate, though they come from Democrats in a chamber dominated by Republicans, leaving their fate unclear. The Senate measure would set up a consumer drug watchdog board, with authority to demand that drug companies justify price hikes over 10 percent a year, and impose a financial penalty of $100,000 a day if they fail to offer a justification. The measure would also require the state attorney general to investigate any drug manufacturer accused of price gouging Michigan consumers and determine if there is probable cause for legal action, including substantial financial penalties. GOP leadership said it is reserving judgment on the proposals, which were first outlined in August. On another front, state Sen. Steve Bieda, D-Warren, introduced a bill earlier this month to require pharmaceutical companies to be more transparent about how they price prescription drugs. That includes how much they pay for marketing and advertising. “I think the advertising is a big issue in how they drive demand for the drugs and how it impacts the costs of it,” Bieda said. The soaring cost of certain drugs has stirred a rising national public outcry, with calls from some in Congress and the Trump administration to rein in prescription drug costs. Political donations seem to sometimes play a role in efforts to curb prices. Turing Pharmaceuticals, founded by hedge fund trader Martin Shkreli, in 2015 jacked up the price of the drug Daraprim from $13.50 a tablet to $750 a tablet. That’s a 56-fold increase for the drug used to treat parasitic infections and AIDS and HIV patients. Shkreli was convicted of securities fraud for mismanaging two investment funds two years later. Drug maker Mylan boosted the price of EpiPen, an epinephrine auto-injector used to treat allergy reactions, from $57 in 2007 to about $600 in 2016. Mylan CEO Heather Bresch told Congress in 2016 the price increase was “fair,” as it then offered a generic version for half the cost in response to public complaints. The jump in cost prompted some Michigan residents to cross the border to Canada, where they could get EpiPens at one third the cost.Canada does not require a prescription to purchase EpiPens. Canada requires a prescription from a doctor licensed in Canada to legally buy prescription drugs; a U.S. doctor’s prescription would require a co-signature from a Canadian doctor before a Canadian pharmacist can legally fill it. Cycloserine, a drug used to treat drug-resistant tuberculosis, spiked in price from $500 for 30 pills to $10,800 in 2015 after its acquisition by Rodelis Therapeutics. After a public uproar, it dropped its price to $1,050. Closer to home, Bridge Magazine reported in December that Michigan’s estimated 15,000 multiple sclerosis patients could face a crisis in paying for increasingly expensive medications known as specialty drugs they depend on for mobility. Some of these drugs can cost upwards of $80,000 a year – in the case of a drug known as Rebif, rising from $15,262 in 2002 to more than $80,000 today. A report by the University of Michigan’s Center for Healthcare Research & Transformation found that specialty drug prices climbed from 14 percent of total drug spending in Michigan in 2011 to 22 percent just three years later, a 42 percent rise. And on the federal level, partisan gridlock has blocked any decisive action. President Trump’s proposed budget trims drug spending for Medicare and Medicaid but experts are skeptical it will do much to change rising drug costs. Congressional Democrats in October introduced measures to direct the U.S. Department of Health and Human Services to negotiate lower drug prices for prescription drugs under Medicare Part D. They have thus far gone nowhere. The powerful drug industry is pushing back on attempts to control drug prices with money and legal challenges. Industry representatives say these measures would impair their ability to conduct the costly research needed to develop new drugs. The Pharmaceutical Research and Manufacturers of America, also known as PhRMA, reportedly increased member dues 50 percent in 2016 as it prepared for this fight. The pharmaceutical and health products industries spent nearly $250 million on lobbying nationally in 2016, according to The Center for Responsive Politics. The industry group gave $14.7 million in the 2016 election cycle to GOP national House and Senate candidates and $9 million to Democratic national House and Senate candidates. At the state level, PhRMA established a group in 2016 that spent $110 million to defeat a California ballot initiative that would have required state agencies to pay no more for drugs than does the federal Department of Veterans Affairs. PhRMA and other drug industry trade groups are also contesting drug price control and transparency measures with lawsuits filed in federal courts in Maryland, California and Nevada. Ellen Albritton, a senior policy analyst for Families USA, a Washington D.C.-based nonprofit consumer advocacy organization, said it may fall to states to tackle this issue. In many cases, analysts say, insurance will pick up the cost of expensive cost drugs. But that leaves consumers with insurance with high deductibles or no insurance at all vulnerable. Albritton noted the “innovative” approach by Maryland, which approved in May the nation’s first law designed to penalize drug makers for price gouging on off-patent or generic drugs. 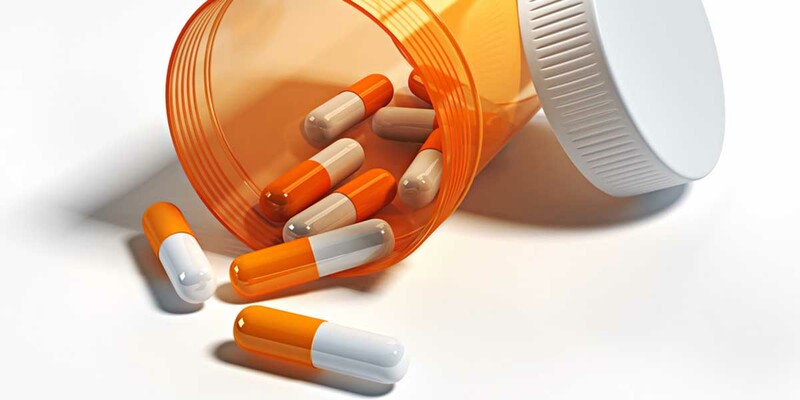 A federal judge in September denied a request for an injunction by the generic industry’s trade group, clearing the way for it take effect Oct. 1. That case remains on appeal. The Association for Accessible Medicines argues that the law violates the Constitution’s Commerce Clause because it regulates sales between generic companies and wholesalers that occur outside of Maryland. Under the Maryland law, drug makers who hike the cost of a generic drug by more than 50 percent in one year will incur a fine of up to $10,000. It is an amount, critics say, that is less than pocket change to an industry in which annual retail spending on U.S. prescription drugs is about $330 billion. Doxycycline hyclate, a widely used antibiotic, jumped from $20 to $1,849 for 500 capsules between October 2013 and April 2014. Glycopyrrolate, used during surgery to prevent slowing of the heart rate, climbed from $65 to $1,277 for 10 vials over the same period. Pravastatin sodium, a cholesterol medication, surged from $27 to $196 for a one-year supply. The aggressive measures taken by states to slash drug prices could hit a federal roadblock once they pass, including legislation that looks to places like Canada for price relief. A 2003 federal law says the U.S. Department of Health and Human Services can approve drug importation plans if it is convinced the plans will save money and will not create public health concerns. In 15 years, HHS has never approved a drug importation program. One analyst of state legislative affairs predicted this issue is not going away on the state level any time soon. According to the nonpartisan National Conference of State Legislatures, 38 states had a total of 256 bills in 2018 related to prescription drug cost and payment. With expected ongoing court challenges from the pharmaceutical industry, Cauchi said it’s hard to say what the impact of these laws will be. The simple fact is that prescription drug prices will remain out of control until governments take firm steps to restrict them. Half-measures are, of course possible. The federal government could enable individuals to buy pharmaceuticals from other countries, or cap the prices that Medicaid and Medicare will pay. The governments of every other OECD country have shown the way to efficiently reigning in drug prices, however. They have single-payer health care systems that ensure available quality (and reasonably priced) health care to everyone--including prescription costs. As long as the cost of drugs are secondary (and the profits of drug companies are primary) to legislators, drug prices will continue to rise. Easy to answer - money talks, the rest of us walk. Drug money sways legislators and our needs don't. Until that equation changes the drug mess will persist. Considering how much US Taxpayers props up Big Pharma (and subsidizes the lower drug costs the rest of the planet pays), the answer here should be fairly obvious: If Big Pharma wants to shaft the people who fund their bottom line, then turn off the spigot. Let's see: drug companies make a lot of 'campaign contributions' (AKA legal bribes), esp. to the the GOP. Are our legislators going to do the right thing and help out the citizens of Michigan or quietly deep six this legislation after getting lots of money from the drug industry? I think we know the answer to this question.